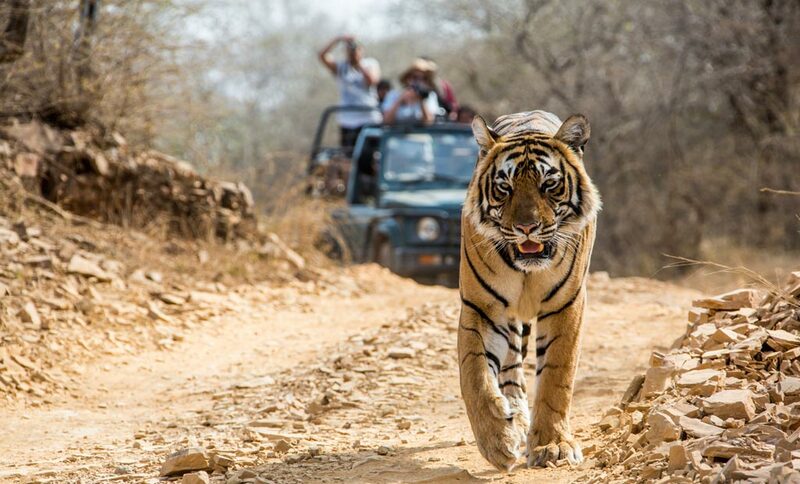 Gone are the days when you had to wait for long in the Corbett vicinity to catch the total counts of the tigers and you remained in estimations only that how many royal residents of Jim Corbett National Park are ruling the core area. But now the situation is changing, and the technology is reviving every face of life even in the dense jungles. How come? The park authorities are now waging the installation of 222 camera traps so that they can estimate the exact counts of tigers in the area. This initiative will bring about 100 days to complete the installation and the officials have given the name as ‘Presence Estimation Exercise’ to this task which will be conducted in two phases. The very first phase of the task, where the estimation will be carried out in the buffer area of Corbett and the second phase will zoom in the area of the Sonanadi Wildlife Sanctuary and its buffer zone in the complete 100 days of this task. The team of Wildlife Institute of India is also joining hands in this exercise to assist the forest staff. This exercise is a revolutionary act in the Corbett Tiger Reserve history and will establish the population range of the Corbett tigers. It was being estimated in the last count as 217 tigers in the area. Let us see what result this 100 days exercise will bring. However, factors like tigers death (in 2011), relocation and some technical elements can affect the counts at the end of this task. Corbett National Park that covers around 1288.31 sq kms of area, out of which 821.99 sq kms of area is the critical tiger habitat along with the buffer area of 466.32 sq km; is the most renowned sanctuary in Uttarakhand for a perfect India tiger tour.